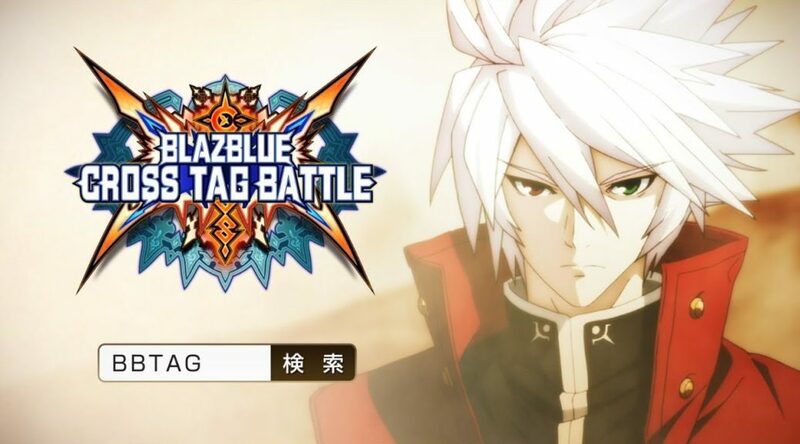 Arc System Works has released a new Version 1.3.0 update for BlazBlue Cross Tag Battle on Nintendo Switch. The patch brings lots of balance changes to the characters of the game. See the full details below. Reversal Action ・Damage dealt as follow up after “Reversal Action” will now all deal red health gauge. Partner Skill ・Now has minimum guarantee damage. Clash Assault ・Hitting the opponent with “Clash Assault” while using partner character will now result in a full knock down. Active Partner Change ・Increased red health gauge recovery speed, as well as extended the effective time of increased skill gauge recovery. ・Fixed an issue where it also affected the opponent’s skill gauge recovery. Resonance Blaze ・Cross Burst is no longer available while blocking an attack from an opponent whose Resonance Blaze is active. Cross Gauge ・The gauge is now darkened whenever Partner Skill is unavailable. Cross Burst ・The time it takes for a character to land on the ground after being knocked back is now equal across all characters. During Tech Recovery ・Removed collision box. Guard Point (Armor) Activation ・Chip damage taken during guard point no longer reaches 0. ・Red health gauge now remains when guard point becomes active. Standing A ・Enlarged the hitbox. Crouching C ・Lowered height of knockback. Axe Kick ・Reduced landing recovery. Grounded Gauntlet Hades ・Increased startup speed. Rising Hades ・Increased knockback distance and lowered the knockback height. EX Dead Spike ・No longer affected by combo length. ・Increased height of knock back of the last hit. Forward Throw ・Reduced knockback distance, lowered knockback height, and can now be followed up with normal attacks. Neutral Partner Skill ・Extended the hitbox of the first hit downward. ・Changed the knockback of the second hit from a backward knockback to a wall bounce. Tactics Mode ・Made partial changes according to functional changes. EX Hizangeki ・The second hit now activates faster. Enhanced Touga Hyoujin ・Fixed an issue where the invincibility frames were longer than the normal version. ・Fixed an issue where the attack does not combo under certain situations. ・Changed the effect of the hit from freeze to normal when hitting only the partner character. Rengoku Hyouya ・Increased startup speed. Backward Throw ・Reduced knockback distance, making it easier to follow up with normal attacks. ・Changed the attack attribute of the first hit from Leg Attribute to Body Attribute. →＋ Partner Skill ・Lowered the height of the knockback. Standing A ・Increased startup speed. Type VI – Flash Suppressor ・Increased startup speed. ・Reduced knockback distance of every hit except for the last. Zero Gun – Fenrir ・Enlarged the hitbox of the first hit. Forward Throw ・Changed the damage values of the first and second hit (total damage is unchanged). ・Reduced knockback distance, and increased hitstun duration. Backward Throw ・Changed the damage values of the first and second hit (total damage is unchanged). ・Changed the knock down from normal to sliding knock down. Neutral Partner Skill ・Extended the hitbox downward. Smart Combo 1 (second hit) (A・A) ・Added an anti-projectile box onto the wind effect portion.・Attack is now cancellable to normal attacks, skills, and jumps after hitting a projectile. Smart Combo 3 (second hit) (jump A・A) ・Increased startup speed. Sword Iris ・Extended the hitbox of the lightning bolt horizontally in both ways. George XIII ・Added a hitbox to George XIII during certain motions. Grounded Baden Baden Lilly ・Increased startup speed. Aerial Enhanced Baden Baden Lilly ・Increased startup speed to match that of Aerial Normal Baden Baden Lilly. Normal Baden Baden LillyNormal Distortion Duo ・Fixed an issue where the hit count scattered when hitting the opponent’s partner character. Gadget Finger ・The distance between Tager and the opponent is reduced upon hit. B Atomic Collider ・Reduced knockback distance. Enhanced Genesic Emerald Tager Buster ・Fixed an issue where the invincibility duration was shorter than that of Normal Genesic Emerald Tager Buster. Aerial Enhanced Genesic Emerald Tager Buster ・Increased startup speed to match that of Aerial Normal Genesic Emerald Tager Buster. Neutral Partner Skill ・Increased travel distance. Partner knock-out ring entrance attack ・Extended the hitbox downward. Smart Combo 1 (fourth hit) (A・A・A・A) ・Extended the hitbox upward. Standing B ・Extended hitbox downward. Zanshin ・Sped up the activation of the attack after a successful counter. Yanagi ・Increased frame advantage.・Reduced knockback distance. ・This move will now result in a full knock down upon successful counter hit. Empty Sky Form: Judgement of the Sword ・Throws and unblockable attacks can now also be countered. Backward Throw ・Changed the knockback to backward knockback to wall bounce (becomes a wall splat in the corner). Smart Combo 1 (2nd hit) (A・A) ・Extended the hitbox downward. EX Sickle Storm ・Changed the knockback to a wall bounce when hitting the opponent’s main character. ・Fixed an issue where the hit count scattered when hitting the opponent’s partner character. Normal Throw ・Reduced knockback distance. ・Increased frame advantage on hit. Tactics Mode ・Made partial changes according to the above changes. Crouching B ・Can no longer cancel into Normal Throw. Rising Fang ・Extended the hitbox downward. Forward Throw ・Reduced knockback distance and height, making it possible to follow up with normal attacks. Backward Throw ・Increased knockback distance and height. ・Changed the knockback to a sliding knockback to a wall bounce. Corona Upper ・Extended the hit box downward. Shooting Star ・Extended the lunging distance that occurs after a brief step back. Lightning Arrow ・Enlarged hit box. Sirius Jolt ・Changed the knockback effect in the corner from wall bounce to wall splat. EX Big Bang Smash ・Increased startup speed, matching that of normal version Big Bang Smash. Particle Flare ・Fixed an issue where the follow-up attack would not connect under certain circumstances. ・Changed the input format of the follow-up input, allowing the follow-up input to register even when it is charged before the input timing. ・Made the activation timing of the 2nd hit Distortion Skill Duo faster. EX Particle Flare ・Increased startup speed, matching that of normal version Particle Flare. Forward Throw ・Decreased knockback distance and increased knockback height. Backward Throw ・Extended knock down time. ←＋Partner Skill ・Enlarged hit box. ・The move now adjusts its movement distance based on the distance from the opponent character. Jump C (During Miracle Jeanne) ・Extended movement distance. Smart Combo 1 (2nd hit) (A・A) (During Miracle Jeanne) ・Extended the hit box at the root of the attack upward. A Mami Circular ・Decreased initial proration. Swallow Moon ・Fixed an issue where the opponent was taking a guard motion. EX Magic Missile (During Miracle Jeanne) ・Increased startup speed. ・Increased projectile movement speed, and shortened the firing interval. ・The above changes will now make the blowback/knockback more efficient. EX Swallow Moon ・Fixed an issue where the opponent was taking a guard motion. ←＋Partner Skill ・Eliminated startup animation, making activation faster. →＋Partner Skill (Magic Missile Special) ・Matched the projectile speed with that of A Magic Missile. →＋Partner Skill (Magic Bomb Special) ・Changed the projectile throw distance. ←＋Partner Skill (Magic Frying Pan) ・Extended untechable time. ←＋Partner Skill (Magic Pico Hammer Special) ・Increased movement speed while rising up.・Now adjusts movement distance according to distance from opponent character. EX Mirage Star (Follow-up version) ・Fixed an issue where it was able to cancel into Distortion Skill under certain circumstances. Normal Version Distortion Skill Duo ・Extended the hit box downward. Crouching A ・Can now execute a Normal Throw. Crouching B ・Can no longer execute a Normal Throw. Smart Combo 2 (2nd hit) (B・B) ・It is now cancellable. Panzer Strike ・Extended the hitbox of the first hit downward. Sentinel Dump ・Decreased additional proration. Hornet Bunker ・Made adjustments so that if you release the button during its motion and press it again, it won’t become the charged version. ・Made the effective time of the weak point effect consistent. Backward Throw ・It will now fully knock down. ←＋A ・Can now execute a Normal Throw. Jump A ・Extended untechable time. Smart Combo 2 (2nd hit) (←＋A・A) ・Can now execute a Normal Throw. Flax Nurture ・Changed attack attribute from Projectile to Body attribute. Front Step/Back Step ・Increased movement speed. Smart Combo 2 (2nd hit) (B・B) ・Extended the hitbox of the symbol inwards. Forward Throw ・Increased frame advantage on hit, making it easier to follow up with normal attacks. Backward Throw ・Reduced distance from opponent on hit. ・Increased frame advantage on hit.The above changes will allow it to be followed up with normal attacks. Distortion Skill Duo ・Fixed an issue where it was hitting the opponent’s partner character instead. →＋Partner Skill ・Fixed an issue where there were no chip damage. EX Second Form: Demon Fox (Follow-up ver.) ・Increased frame advantage. Fourth Form: Black Panther (Follow-up ver.) ・Increased startup speed. Forward Jump ・Extended travel distance. Standing B ・Extended the hitbox of the initial hit downward. Normal ver. Distortion Skill Duo ・The frame advantage gained from a counter hit has been adjusted to match that of a normal hit. →＋Partner Skill ・Extended the hitbox of the initial hit upward. Smart Combo 2 (3rd hit) (←＋A・A・A) ・Extended the hitbox downward. Smart Combo 3 (2nd hit) (B・B) ・Increased startup speed. Dodge ・Changed the behavior of the attack on successful counter. ・Enlarged the hitbox of the counter attack. Normal Throw ・Reduced the distance from the opponent on hit. →＋Partner Skill ・Extended the travel distance. Tactics Mode ・Partially revised according to functional changes. ←＋A ・Changed the maximum number of times it can be used in a single chain to 2. Crouching B ・Enlarged the hitbox. Smart Combo 3 (2nd hit) (B・B) ・Extended the hitbox forward. Grounded Rampage ・Extended the travel distance when inputting →. Skull Cracker ・Increased frame advantage. EX Dragon Kick ・Increased damage. B Herculean Strike ・Increased frame advantage. EX Herculean Strike ・Reduced knockback. Entrance attack after partner K.O ・Fixed an issue where the opponent was taking a guard motion. Standing A ・Extended the distance where Konohana Sakuya transitions to an attack motion. ←＋A ・Can now execute a Crouching A. ・Changed the maximum number of it can be used in a single chain to 3, matching that of Crouching A.
Crouching A ・Changed the maximum number of it can be used in a single chain to 3, matching that of ←＋A. Smart Combo 1 (4th hit) (A・A・A・A) ・Extended Konohana Sakuya’s travel distance. Grounded A Agi ・Lowered the blowback height of the first hit. Grounded B Agi ・Extended the untechable time of the first hit. Maragi ・Increased blowback distance and height. ・Changed the knockdown from a normal knockdown to a rolling knockdown. ・Changed the number of times the B version reduces health to 1. Fire Flame Boost ・Reduced recovery. Flame Level ・Increased the damage boost rate of each level. EX Agidyne ・Fixed an issue where the invincibility time was shorter than Normal Agidyne. Full Bloom ・Increased startup speed. Neutral Partner Skill ・Extended the untechable time of the first hit. ・Increased blowback of the first hit. →＋Partner Skill ・Extended the untechable time of the first hit. ・Yukiko will now face toward the opponent when the Phoenix Flame..
・The Phoenix Flame now be fired toward Yukiko. ←＋A ・Extended the hitbox downwards. Smart Combo 2 (2nd hit) (←＋A・A) ・Normal Throw is now executable. Smart Combo 3 (2nd hit) (B・B) ・Standing A is now executable. B Buster Attack ・Increased frame advantage. EX This’ll Hurt！ ・Increased frame advantage on hit.・Extended knockdown time on hit. Gotcha！ ・It is now fully invincible until the end of it’s recovery on hit. EX Cruel Attack ・Increased frame advantage. ・This move will now result in a full knock down. Smart Combo 1 (2nd hit) (A・A) ・Extended the hitbox of the root of the attack upward. Smart Combo 2 (3rd hit) (←＋A・A・A) ・Normal Throw is no longer executable. Crouching B ・Now jump cancellable. Snipe (A, B or C during Snipe Aim) ・Increased frame advantage. EX Hair-Trigger Megido ・It will now be destroyed along with the opponent’s projectile when it comes in contact with it. Mudoon ・Changed the amount of skill gauge it gives to the opponent upon hit to 0. Jump C ・The 2nd hit is now cancellable. A Coup Droit ・Extended travel distance. B Coup Droit ・Extended travel distance. EX Coup Droit ・Extended travel distance. →＋Partner Skill ・Fixed an issue where it did not deal chip damage. ←＋Partner Skill ・Fixed an issue where it did not deal chip damage. ・Fixed an issue where it received a counter hit after the active frames were over. ⇒Sweep (Crouching C during Cyclone Combo) ・Extended the hitbox forward. Crouching B ・Enlarged the hitbox when it is uncharged. ・Extended the active frames when it is uncharged. Heavenly Spear ・Changed the attack attribute from Projectile to Body attribute. 7th Gen Radical Cannon ・Reduced the projectile’s wall bounce back distance in the corner. Goddess Shield ・Changed the attack attribute from Projectile to Body attribute. Normal Throw ・Reduced blowback, making it easier to follow up with normal attacks. Neutral Partner Skill ・Reduced blowback of the first hit. →＋Partner Skill ・The projectile’s trajectory now adjusts according to its distance from the opponent character. ・Reduced the projectile’s wall bounce back distance in the corner. Weaver’s Art: Beast Fixed an issue where the collision box disappeared when blocked. Pale Bringer Arrows ・This skill is now invincible from startup. →＋Partner Skill ・Increased recovery frames. Standing B ・Decreased additional proration. Crouching A ・Decreased initial proration. Neutral Partner Skill ・Increased startup speed. Smart Combo 2 (2nd hit) (B・B) ・Extended the hitbox forward. Werfen Erschlagen ・This skill now receives a damage bonus when used under certain circumstances. Katastrophe ・This skill can now grab an opponent while they’re in hitstun. Normal Throw ・This skill will now result in a full knockdown, allowing for follow-up attacks with normal attacks. ←＋Partner Skill ・The first hit will now result in a full knock down on a clean hit. Crouching B ・Reduced recovery frames. Aerial B To Me! (Command Order) ・Changed behavior, and increased frame advantage after landing. ・Lowered the blowback of the lunge attack, and raised the blowback of the rising attack. ←＋Partner Skill ・Extended untechable time.・Raised blowback height. Clash Assault ・Extended the collision box downward. Mortal Slide – Divest ・Extended the hitbox of the first hit forward. ・This skill can now be followed up with additional attacks only when the second hit alone hits the opponent in the air. I, Spring to the Sky ・The initial jump up motion now adjusts back and forward depending on the input direction. I, Soar the Sky ・Fixed an issue where it missed certain characters’ crouching position. I, Capture and Devour ・Fixed an issue where it did not generate any red health gauge on hit. ・Fixed an issue where it was cancellable to Distortion Skill under certain circumstances. EX I, Capture and Devour ・Fixed an issue where it was cancellable to Distortion Skill under certain circumstances. Jump C ・Increased blowback distance. Lux Fortis ・increased frame advantage. Distortion Skill Duo ・Fixed an issue where the hits during it’s cutscene does not properly combo. ・This skill will no longer switch to its cutscene when Yuzuriha is a sub-character. ・This skill can now kill an opponent even if it didn’t switch to its cutscene. Jump B ・Adjusted the positioning of the effects (No change to hitbox). Mika-chan Cannon ・Fixed an issue where this skill was cancellable to Distortion Skill under certain circumstances. Mika-chan Hip Strike ・Extended the untechable time on hit. Crouching A ・Changed the maximum number of times this can be used in a single chain to 2. Jump B ・Enlarged the hurtbox. Buzzsaw Blast ・Enlarged the hurtbox.・Fixed an issue where this skill was cancellable to Distortion Skill under certain circumstances. ・No longer affected by length of combo. EX Buzzsaw Blast ・Enlarged the hurtbox. Standing B ・It is now jump cancellable. Smart Combo 3 (2nd hit) (B・B) ・It is now jump cancellable. Ice Shard ・Projectile now moves faster. ・Changed search timing and acceleration timing. ・Extended knock down time when shot downwards. Glyph Dash Strike ・Extended the hitbox downward. Twisting Air Step ・Increased frame advantage. Piercing Air Step ・Increased frame advantage. ・Added invincibility against body attribute attacks from the middle of its motion. A Ice Pillar ・Reduced recovery frames. B Ice Pillar ・Increased armor strength against projectiles. Precision Parry ・Fixed an issue where the opponent was taking a guard motion. EX Ice Shard ・Projectile now moves faster. Set Magic Circle ・The Magic Circle no longer disappears when tagging out.・The positioning of Magic Circles have been changed for the A and B versions. Normal Throw ・Increased frame advantage on hit, making it easier to follow up with normal attacks. →＋Partner Skill ・Projectile now moves faster. ←＋Partner Skill ・Extended the hitbox downward. Shadow Clone ・Extended the effective time and increased the shadow effect. ・In addition to the current activation method, this skill now automatically activates after a certain time. Dash Cancel (→→ During certain moves) ・Increased frame advantage. Normal Throw ・Increased frame advantage, making it easier to follow up with normal attacks. ←＋Partner Skill ・Raised blowback height. Standing B ・This attack now has an armor effect against projectiles. Smart Combo 2 (2nd hit) (B・B) ・Increased startup speed. ・This attack now has an armor effect against projectiles. Burst of Embers ・Reduced recovery frames upon miss. Too Hot to Handle ・Raised blowback height. Back Step ・Extended invincibility frames, making it consistent with other characters. Other minor bug fixes for each character have been implemented.